After an overwhelming number of requests from the media, Tokyo Electric Power Company (TEPCO), has released 6 more hours of the 150 total hours of footage of teleconferences between workers at Fukushima Daiichi and the utility’s headquarters in Tokyo during the first 5 days of the Fukushima nuclear disaster. The footage has been edited to prevent the identification of individuals other than TEPCO executives. The video footage is thought to contain useful information relating to how TEPCO responded to the disaster including the Unit 4 spent fuel pool and deliberate releases of contaminated water into the ocean. In one segment released, workers look visibly tense as it is announced the radiation field at the Unit 3 reactor building were measured at 300 millisieverts per hour on March 13th. The utility claims that no video exists for the first three hours of the accident, and the majority of the first 30 hours of video has no sound. TEPCO had earlier released a 90 minute video, but was continually criticized over its decision to not release all of the video available. 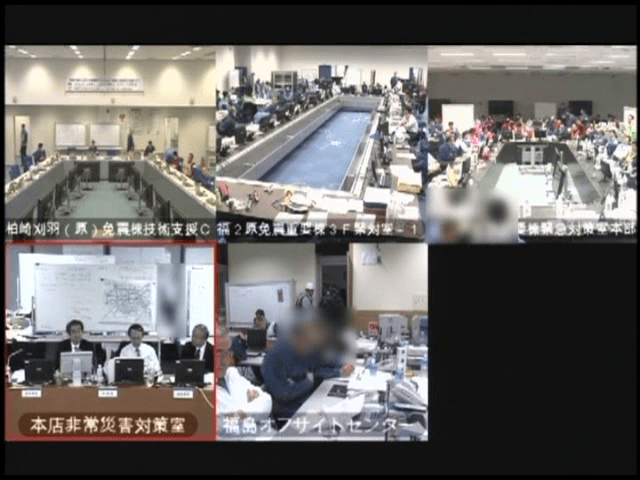 There have been multiple requests for TEPCO to release all of the available video footage, but TEPCO has stated that it has no plans to do so.